***Investors Special! Its a duplex with two 2 bedroom, 1 bathroom units. Each has a large living room, eat-in kitchen, and a laundry/mudroom. There is off-street parking for both units, and theres a large level backyard that the two units share. 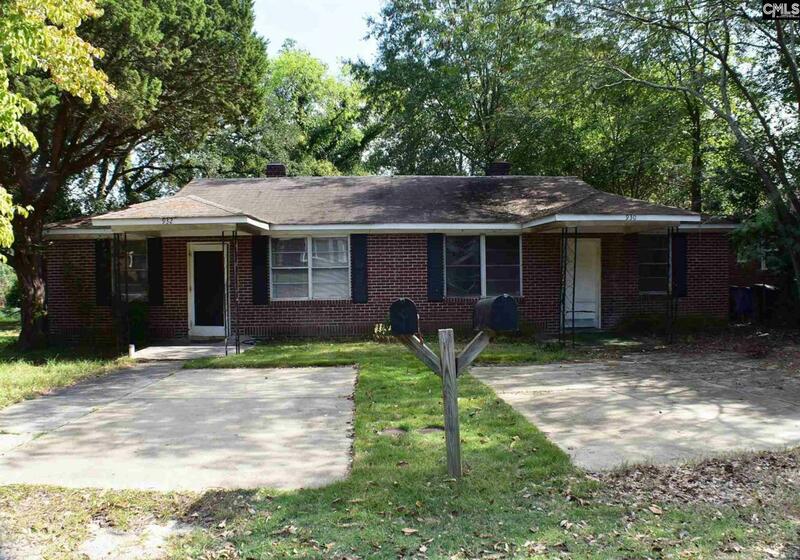 The property is in an excellent locationits convenient to Garners Ferry Road shopping and restaurants, the VA Hospital, USC Medical School, access to I-77, and its just a short drive to downtown Columbia or Fort Jackson. The duplex is being sold AS IS, but with some effort and investment it could yield an excellent return.